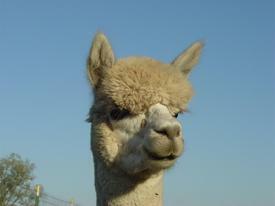 Southern Iowa Alpacas offers both drive-by breeding service and mobile breeding service. Drive-by Breeding Service: Owner of dam brings dam to Southern Iowa Alpacas Ranch for same day breedings service to one of five outstanding Full Accoyo Herdsires. Dam owner responsible for all pregnancy testing thereafter. 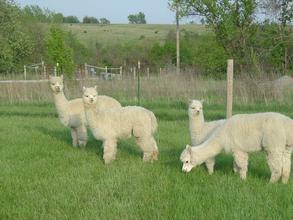 Mobile Breeding Service: Southern Iowa Alpacas brings the Full Accoyo Herdsire(s) of your choice to YOUR ranch to breed an alpaca at YOUR ranch. Dam owner responsible for all pregnancy testing thereafter. Breeding Fee- $750.00 + fifty-cents per mile (one way) for travel to provide the service.